The 3rd Annual Stones River Relay takes place Saturday, April 14 — 22 miles across Cannon County from the top of Short Mountain to the Readyville Mill. The first place overall solo winner will be awarded the Paddle Trophy carved by local sculptors William and Sascha Kooienga. The Paddle is made from curly maple, boxwood, and osage orange wood. 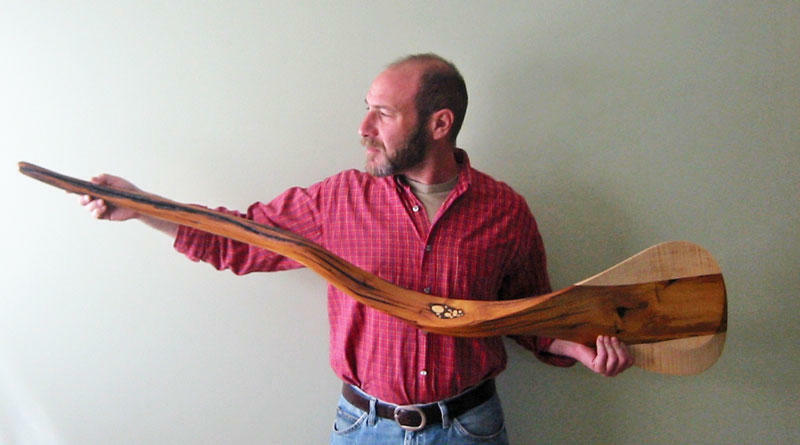 Pictured: Neal Appelbaum, Stones River Watershed Association President, with the Paddle Trophy.